By now, you’ve probably all heard about the recent death of Harper Lee. Rarely has a single book been as revered and beloved as her timeless masterpiece, a story that remains relevant some 56 years later. The art of storytelling is at the core of the book’s success, just as the art of storytelling is the claim to fame of its avian namesake. And as humans, it seems we never grow tired of hearing stories. Whether it’s through fiction or memoir, movies or television, prose or poetry, we are always listening for that element that resonates with our own experience, or one that teaches us something new about humanity. There is a mockingbird that has taken up residence in my garden, and in warmer weather I look forward to drinking my tea outside while he catches me up on the news of his world. His exuberant “stories” never fail to make me smile, even as I wonder what drives him to sing so many songs that aren’t his own. In addition to songbirds, he has also learned frog sounds and hawk calls. I keep trying to teach him the “mockingjay” whistle from the movie of the same name, but so far, no luck. Perhaps this will be the year. But it occurs to me that these vociferous singers are the poets of the bird world. It’s not hard to imagine that they spend their days observing Mother Nature’s drama and their nights “recording” what they have heard, just so they can offer their gossip to the world each morning. They offer us a looking glass into their world, in much the same way a poem mirrors something that a poet has observed. And so, for this week’s Poetics, I want you to write a narrative poem. I want you to tell a story. As an added bonus, you can include a mockingbird, or use a theme from the novel, but let’s not call that a requirement. Just tell us a story, one that resonates with you. I look forward to reading them all. As part of my own story, I must add here that I have decided to step down from being a bartender at the pub. I have too many things going on in my life at the moment, and I don’t feel I have the time to fulfill that role properly. I do hope to guest post regularly, and participate when I am able, but at this time it feels unfair to call myself a member. I thank you all for what you do here, and for welcoming me so warmly. Welcome everyone, hope you are all having a good day! Thanks so much, Bjorn. Life certainly takes us to unexpected places, but I have enjoyed being here when I’ve been able. You are all a truly wonderful group, and yes, I do hope to participate whenever I am able. Thanks so much, may the mockingbird keep us all in stories! Since we do not have Mocking birds here in Sweden I have thought if there is a bird filling the same role… I would say it has to be the European Blackbird.. it certainly can singe other bird’s songs… but it also has its own, but it is certainly not a gentle bird.. rather cocky I would say. Oh, thanks for sharing that, very cool to hear his song. There are many mornings here when I tell my mockingbird that he is being such a show-off with his loud shenanigans! Ha, yes, no sleeping in with these guys around. Kelly, I think this is, a fitting tribute to Miss Lee, and the huge impact that her first published novel, on North America. In my neck of the woods, we don’t have Mockingbirds, but are serenaded, by Redwing blackbirds. As they sit perched, upon the reeds, by the water’s edge. Heading out to yoga followed by a visit to my 89-yer-old friend who is in the hospital. I will be checking in just as soon as I return! I’ll be on my way over to read shortly, thanks so much for joining in! Off to write a poemstory, now. I love mockingbirds. This is a great prompt, Kelly. I wish you all the very best, and hope to see you lingering around the bar, still. Thanks so much, and yes, I hope to be here as a participant whenever I am able. Looking forward to reading your work! Wonderful prompt, Kelly. I am going to need to “abstain” today but plan on incorporating mockingbird and narration into my Thursday poem. Glad we won’t lose you completely but hate to see you stepping down. Life does get too busy, doesn’t it? Aargh, it really does… And the older I get the less able I am to “do it all”. Do let me know if you write something so I can check it out! Oh yeah–I found some unexpected time (made it, actually). I love mockingbirds and have the joy of being surrounded by them here in the desert. We walk together in the morning. Thank you, Kelly. An intriguing story that left me wanting more! At last! I am sort of being able to participate and I just love this wonderful prompt. I am glad you will not be a stranger Kelly. I so enjoy my many birds and their music so many times gives a wonderful backdrop to my morning coffiee or, a great ending as I sip my evening tea. Birds are such amazing creatures. I am doing just a bit of whimsy for this …. will (hopefully) be posting in a few. Oh, same here, I just love my time outside with the birds… Looking forward to warmer weather so I can get out there. I’ll be heading over to read your work soon! Sun or snow, I am there with them. They make my day. Oh yes, I enjoy their winter antics, too. But I never seem to sit and just listen until the warmer weather. Sleep tight… I look forward to seeing what you come up with! I enjoyed this prompt so very much, I have done a tanka for it. Hmm. And I just got here. I understand though, Good luck. I was so intrigued by this prompt, Kelly, and found a quote from the book to inspire me but an unexpected family need kept me from posting tonight. We have many Mockingbirds in our neighborhood and I love when one perches in the bougainvillea outside our front door and just sings and sings…it’s such a happy sound! I wish you well on your adventure through life, Kelly, and hope to see you again as you pop in as you’re able. Thank you so much, Gayle, and yes, I’m sure we will bump into each other. Likewise I am sorry to hear you won’t be one of d’team from now on, but do stop back now and them. Sometimes our lives are more flexible than others. We don’t have mockingbirds or cardinals here but we have warblers, and many others with beautiful songs.. Thank you. A lovely prompt, Kelly, thank you. I’m sorry you’re giving up the bar, and I do hope you stick around. I’ve linked an older poem today, for fear of missing the cutoff, but I think it’s in the spirit of the prompt. Thank you, heading over to read shortly! A wonderful challenge Kelly ~ I’m sorry I am not able to write to this due to work but I am keeping this in the back burner for future writing prompts ~ I wish you the best of luck & keep in touch ~ We hope you will come back to guest blog with us ~ Cheers!! Thanks, Grace, I really appreciate all your support, and yes would love to participate as a guest on occasion. I will still try to participate in prompts when I am able as well, so I’m sure I will be bumping into you all! Kelly: First a thank you for tending bar. I can only imagine that this takes a lot of time and energy. Your commitment is appreciated. Hope to see you here as a guest tender! And….thank you for this wonderful prompt. This was always one of my favorite books. Thank you…yes a favorite book of mine as well! Heading over to read your words momentarily! Sorry to hear you are having to stop bartending as well – I know it can be hard to feel torn in so many directions and not able to do justice to everything. Thank you so much for your contribution and good luck with everything! 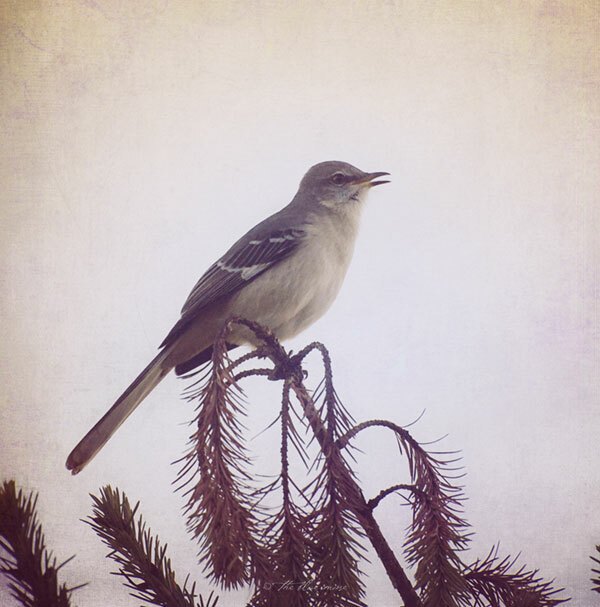 I am exhausted after skiing with my kids all day (every day this week we have skiing lessons – well, they do, and I have to accompany them and then ski with them after), but I will try to write a narrative poem, although I don’t think I’ve ever heard a mockingbird in my life. But I do like your tribute to Harper Lee! Thank you! It sounds like you are having a quite a busy week yourself… but that’s the good kind of busy! Some stories need to be told. And some tell themselves. These are a joy to read! Storytelling in poetry is one of my favorites…and sometimes they just write themselves.. I feel like we all have a story that needs to be told, but, yes, sometimes it’s much easier than others. My first outing here at the Pub I hope it’s worthy! Just got here Kelly so sorry to see you go but life can be insanely busy and I hope to see you drop in at times. I adore birds no matter what kind they are like little dinosaurs and remind me of how the word/earth used to be. When I hear their songs I slow down and take the time to enjoy. I think they do that for everyone who listens. NIce to meet you and I enjoyed your prompt. Yes I do and happy to be here Bjorn! Welcome Bekkie, and nice to meet you as well! Looking forward to reading your words. Thank you so much Kelly for your warm welcome! I know I’ll enjoy myself. Opps! World. No editing comments I guess.